With so many layoffs and the real estate market meltdown, you may be struggling financially. Mortgage modification may seem like just what you need. Unfortunately, many homeowners are unsure even how to begin to get a mortgage modification or which companies help with them. Crooks count on a your desperation and show up just when you’re the most vulnerable. You’re behind on your mortgage payments, you’re worried sick, and the stress is unbelievable. What you need is help, so when someone calls and offers to renegotiate your mortgage for a fee, what do you do? Most mortgage scams start with a phone call or letter. They may call themselves foreclosure consultants, mortgage consultants, a foreclosure service, foreclosure rescue agency, or loan modification company. It sounds legitimate, but it’s usually not. Typically, mortgage scammers offer to assist with loan modification or mortgage renegotiation in exchange for an upfront fee of one mortgage payment or more. At best, you may pay for them to fill out paperwork you can do yourself or could have done for free through a non-profit or legitimate loan-modification assistance program. Often, they take your money and then take off. Up-front fees are sure sign of a mortgage scam don’t pay them! Never ignore letters from your lender or loan servicer. If you’re overwhelmed, your best bet is to consult with a Bankruptcy Attorney who can represent you. He can provide you with other possible options, such a Chapter 13 bankruptcy. Stop Foreclosure With Chapter 13, called “reorganization,” can stop the foreclosure sale and allow you to catch up on past due mortgage payments. Never transfer title or sell your house to anyone, even if it’s supposed to be temporary. This scam relies on the homeowner believing they can stay in their home as renters and buy it back later. It also may be considered a fraudulent transfer in your bankruptcy case beware! Remember, if you do this, the scammer can evict you and take your home while leaving you responsible for the mortgage. Never make mortgage payments to anyone other than your lender or loan servicer. Scammers will take the money and never make the payment. Never sign a document you haven’t read. Scammers will often try to pass off a transfer of ownership document as a loan modification. You are responsible for what you sign and if you need help, consult a qualified attorney. Get all promises in writing: oral promises and agreements are usually not legally binding. As someone once said, if the promise is not in writing, it’s not worth the paper it’s written on. Keep copies of all documents. Report suspicious activity to the Federal Trade Commission, the South Carolina State Attorney’s General office, or South Carolina Department of Consumer Affairs. By reporting scams, you can help protect others. As I stressed with my posts on credit counseling, if you need help, go local. Seek assistance from a reputable local agency like Family Services of Charleston. Great advice. 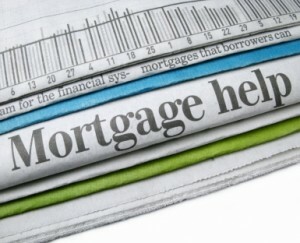 Does it help to have a mortgage mediator? This individual is a lawyer, or a community worker, someone who knows about the modification process. While the lender has the final answer, and his decision is the one that counts, it might be good to have another set of ears and eyes at the meeting. Sure. I think the more help the better.